He actually came pretty close to a true statement about refugees. Isn’t it ironic that large Caravans of people are marching to our border wanting U.S.A. asylum because they are fearful of being in their country - yet they are proudly waving.... ....their country’s flag. Can this be possible? Yes, because it is all a BIG CON, and the American taxpayer is paying for it! While it may hurt Trump's feelings to think so, it is possible to love one's country while fearing or despising its government of the moment. But political persecution is only one of the reasons that the migrants themselves cite. Most spoke of their fears that their children would be killed by rampant gang violence in what are essentially failed states, or that they or their families would be unable to find food or other essentials of life if they stayed. But Trump is correct that the American taxpayer is "paying" as a result of this specific migrant caravan. Specifically, in the form of a much-derided military deployment, which expected to cost somewhere between $50 and $220 million. By law—though not one Trump is fully aware of, apparently—the military cannot be a domestic police force. As a result, the roughly 8,000 troops deployed away from home over Thanksgiving and for an unknown time afterwards have been largely used for menial tasks, when they have been given any work to do at all. Trying to stoke fear of refugees for political gain is what authoritarians do. 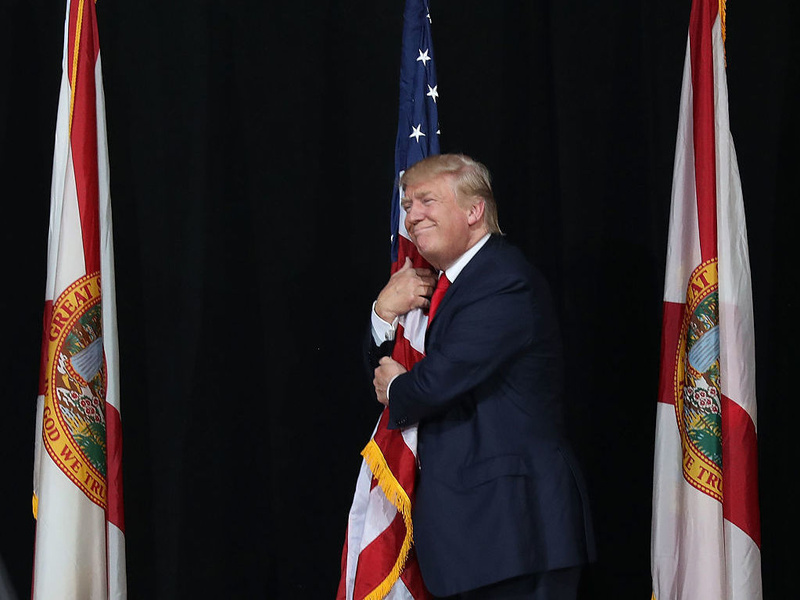 Flags don't tell you anything specific about the loyalties of the person wrapped up in them.